Fenton with his Practical Driving Test Pass Certificate outside Taunton Driving Test Centre. Many congratulations to Fenton Downing from Cossington who passed his Practical Driving Test with just 4 minors on Tuesday 20th February 2018 at Taunton driving test centre. All the best from your Driving Instructor Nigel Steady and all the team at Starfish Driving. Great drive! Many congratulations to Matthew Cabble from Cossington who passed his Practical Driving Test on Tuesday 6th December 2016 at Taunton driving test centre. All the best from your Driving Instructor Nigel Steady and all the team at Starfish Driving. Well done and keep those concentration levels up! Many congratulations to Josh Ownes from Cossington who passed his Practical Driving Test 1st time on Tuesday 18th October 2016 at Weston-super-Mare driving test centre with just 5 minors. All the best from your Driving Instructor Nigel Steady and all the team at Starfish Driving. Well done on a great drive. Many congratulations to Camsell Downing from Cossington who passed his Practical Driving Test on Friday 20th November 2015 at Weston-super-Mare driving test centre with just 4 minors. All the best from your Driving Instructor Nigel Steady and all the team at Starfish Driving. Lovely drive, now on with Motorway lessons? 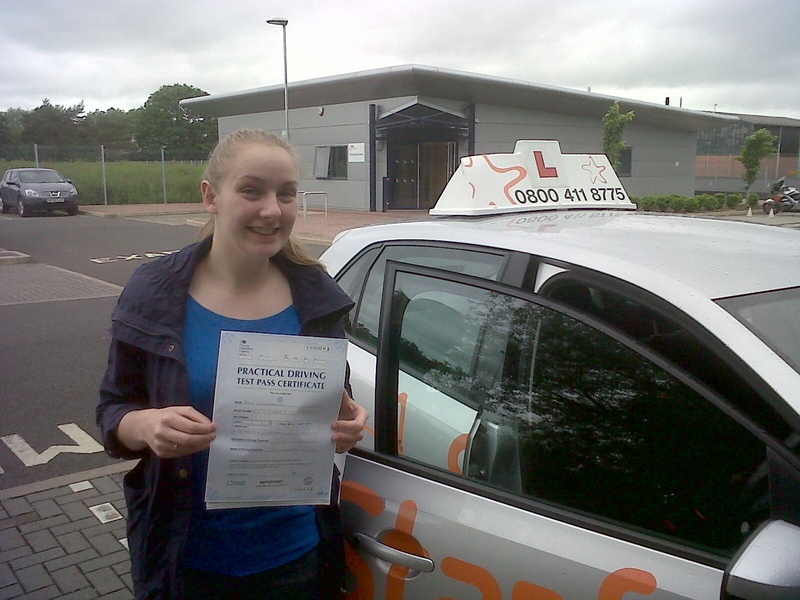 Annabel with her Practcal Driving Test Pass Certificate outside Taunton Driving Test Centre. 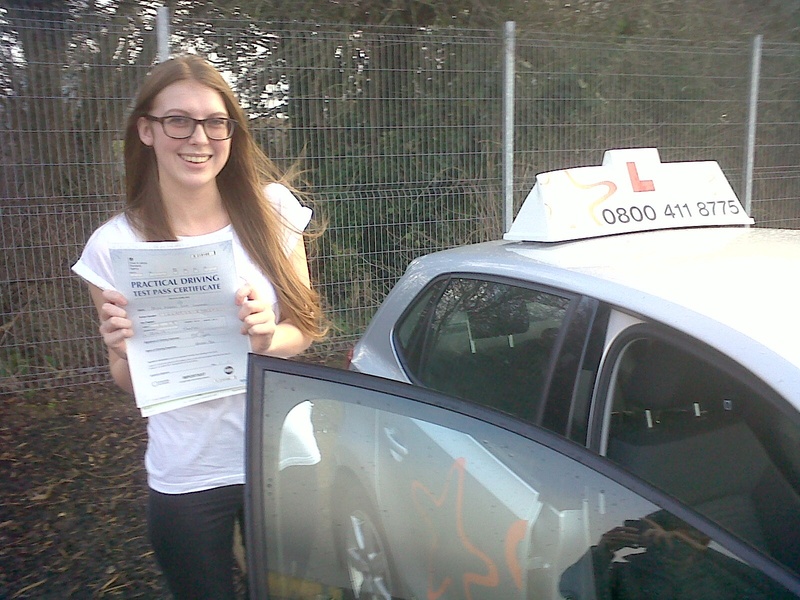 Many congratulations to Annabel Dedman from Cossington who passed her Practical Driving Test first time on Wednesday 4th June 2014 at Taunton driving test centre with just 3 minors. All the best from your Driving Instructor Nigel Steady and all the team at Starfish Driving. Great drive, despite feeling unwell! 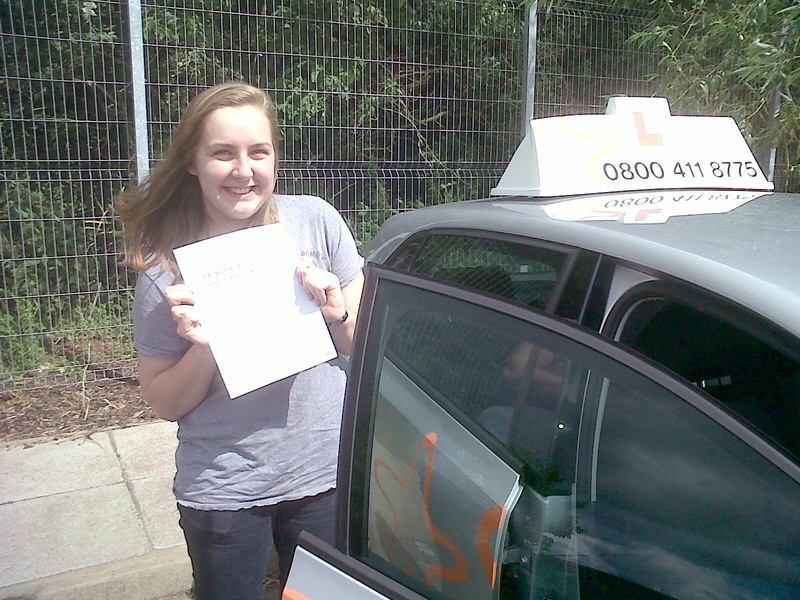 Daisy with her Practical Driving Test Pass Certificate outside Taunton Driving Test Centre. Many congratulations to Daisy Dedman from Cossington who passed her Practical Driving Test first time on Monday 2nd June 2014 at Taunton driving test centre with just 3 minors. All the best from your Driving Instructor Nigel Steady and all the team at Starfish Driving. Great drive!